Hudson Ranch Expanding Lee and Cristina Hudson have expanded operations to include a state of the art winery and hospitality facility in Napa Carneros. Clayton Kirchhoff has joined the team as winemaker. He comes to Hudson with 12 years of winemaking experience and has been involved with the winemaking at Hudson for the past five years. 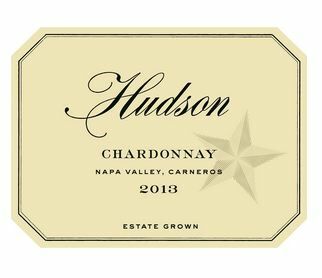 Besides the wines produced from 200 acres of vineyards for the Hudson label, the winery sells grapes to 27 wineries in Napa and Sonoma counties and is perhaps best known for Chardonnay. Visit www.hudsonranch.com. City of Sonoma Limiting the Plaza to 25 Tasting Rooms The Sonoma City Council recently voted for regulations limiting wine-tasting businesses in downtown. There are about 34 wine rooms in the downtown area all 34 would be grandfathered in, with the number reduced to 25 over time with attrition and relocation. Since 2012 the number of tasting rooms on the Plaza has increased from 17 to 26. U.S. Wine Industry Outlook A recent summary at www.napavalleywineacademy.com reported that labor costs, grape prices and vineyard land prices are all rising and few vintners are able to raise prices. 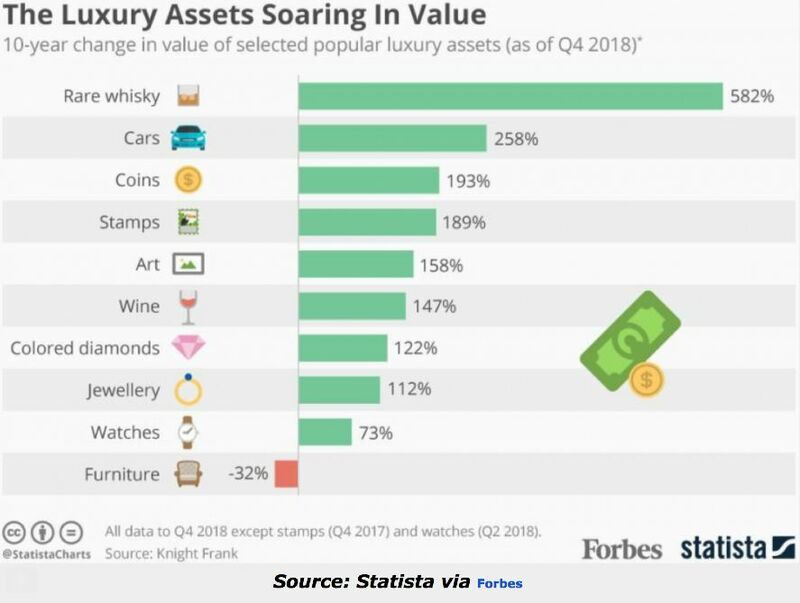 Sales of luxury wines through wholesale channels have been slowing since 2015. Silicon Valley Bank found that consolidated annual volume growth of wine consumption was close to becoming negative in 2018 for the first time since the early 1990s and price increases on average were zero. Winery costs have been rising far faster than producers could possibly raise prices. Housing costs for winery workers and immigration laws are restricting worker availability. Undaunted, new producers continue to enter the market, with more than 1,100 new wineries added in California since 2013. Bills Argue for Content Standards of Willamette Valley Wines There are two bills sought by the Willamette Valley Wineries Association that starting in 2030 would require Willamette Valley wines that carry a varietal name such as Pinot Noir to be made entirely from the named grape and grown entirely within the boundaries of the Willamette Valley AVA. The current standards call for 90 percent of the named variety for Pinot Noir and other varieties and 95 percent sourcing from the AVA. David Adelsheim, founder of Adelsheim Vineyard and Ken Wright, founder of Panther Creek Cellars and then Ken Wright Cellars, have been strong supporters of the change. Southern Oregon wineries, many of which supply grapes to Willamette Valley producers, are fighting the legislation and are backed by the Oregon Winegrowers Association. Another wine-related bill is also under consideration that would put new requirements on out-of-state wineries making Oregon—sourced wines (a result of the Elouan-Wagner controversy). Noted Oregon Wine and Restaurant Writer Lisa Shara Hall Passes Away Lisa began writing about food and restaurants for Willamette Week and then for The Oregonian. Eventually she became bored with food writing and began reporting on wine tastings and new wineries in Oregon. She eventually gave up food writing in 2000. In 1999 she organized an Institute of Masters of Wine trip for existing MWs to the wine regions of Oregon and Washington and this was to become the model for the annual Oregon Pinot Camp for visiting professionals. She wrote for the Oxford Companion to Wine, Decanter and the Hugh Johnson Pocket Guide, and was senior editor for Wine Business Monthly. It was the book, Wines of the Pacific Northwest, published in 2001, that most inspired me. It was the only extensive reference book on Oregon wineries available at the time and I referred to my copy repeatedly through the early years of composing the PinotFile. The F-words: Fining and Filtration An interesting article appeared March 22, 2019, online at www.winetitles.com.au titled “Weighing up the gains and losses from fining and filtration.” Many Pinot Noir producers trumpet the fact that their wine is unfined and unfiltered as a badge of quality. Fining is a tool that can be used to alter a wine’s clarity, color, aroma or flavor. It can reduce bitter flavors, unwanted aromas, increase a wine’s stability, and add polish to a wine’s appearance. Many winemakers feel that fining should be done only when necessary using low addition rates of fining agents (gelatin, isinglass, egg white, casein, bentonite, carbon and a synthetic polymer PVPP) to avoid influencing aromas, mouthfeel, color and flavors. Similarly, filtration using crossflow, pad, sterile membrane or earth filtration, can lead to undesirable changes in a wine’s character and flavor. On the positive side, filtration can be used to clarify a wine, something many consumers prefer as more aesthetically appealing and ensure that a wine is microbiologically stable, particularly if there is any residual sugar. Fourth Annual Willamette: The Pinot Noir Auction Breaks Records 92 lots of wine sold for more than $1 million at the fourth annual Willamette: The Pinot Noir Auction held at The Allison Inn & Spa in Newberg, Oregon, recently. The average price paid per bottle this year reached $160, a 29% increase over the previous year, and an 81.5% increase since the inaugural auction in 2016. The auction, open to the media and trade only, featured 86 one-of-a-kind Pinot Noir lots and six collaborative Chardonnay lots from the 2017 vintage, made in quantities of 5, 10 or 20 cases. Lots bringing the highest bids came from Duck Pond Cellars, Domaine Serene, Antica Terra, Alexana Winery and Bethel Heights Winery. Eugenia Keegan, co-chair of The Pinot Noir Auction, said, “Ten years ago we couldn’t have pulled off this auction. The Willamette Valley didn’t have the cachet to do this, nationally or internationally.” The 2020 event will be held on April 3 and 4. The French Health Agency Urge the French Consumer to Reduce Wine Drinking Health officials in France have recommended no more than two glasses a day and not every day to reduce the risk of alcohol-related diseases. According to the French national health agency, Santé Publique France, almost 25 percent of French adults drink too much alcohol regularly, killing 41,000 people a year. The official guidance of Santé Publique France is for people to drink no more than 10 glasses of wine each week. Wine consumption in France has been decreasing and the French lag Lithuania, Germany, Ireland, Luxembourg. and Latvia among European countries in average consumption. French winemakers feel like this pronouncement only serves to upset the moderate wine drinker. 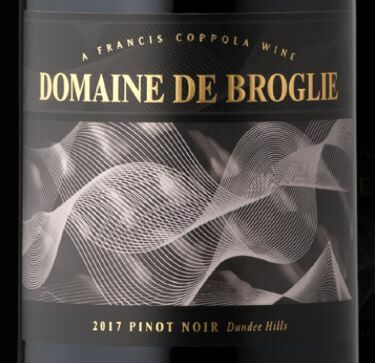 Domaine De Broglie This new Oregon brand has been added to The Family Coppola portfolio. The vineyard and modern tasting room is located in the Dundee Hills, 800 feet above the valley floor. The name is dedicated to Louis de Broglie, a French physicist who won the Nobel Prize in physics in 1929. The property was formerly Vista Hills Vineyard. Three 2017 estate single clone Pinot Noir wines as well as a Dundee Hills blend of multiple clones have been released. Visit www.domainedebroglie.com. The gentrification of Oregon wineries continues! Anderson Valley Winegrowers Association Announces Technical Conference Agenda The Technical Conference portion of the 22nd Annual Anderson Valley Pinot Noir Festival will be held on May 17, 2019, at Camp Navarro in the northern Anderson Valley. The Conference will include an overview of the Anderson Valley by Wine & Spirits magazine editor Patrick Comiskey, a walk-around tasting of 2018 Anderson Valley Pinot Noir wines from neutral barrel, part of a larger terroir study currently being undertaken in the Anderson Valley, and a discussion of regional microclimates reflected in vineyard designates led by duos of winemakers and viticulturists. Admission is $100 and includes a light breakfast and lunch with accompanying wines. 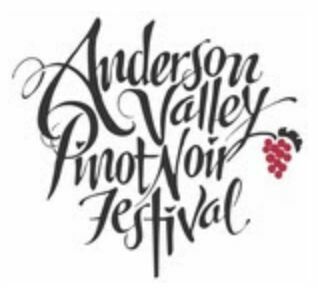 Tickets for the entire Anderson Valley Pinot Noir Festival and the Technical Conference are available at www.avpinotfest.com. 2019 International Pinot Noir Celebration North American Featured Wineries This year’s IPNC will be held July 27-28 at Linfield College in McMinnville, Oregon. Featured Oregon wineries: Alexana Winery, Amalie Robert Estate, Anam Cara Cellars, Andrew Rich Wines, Archery Summit, Brooks, Chehalem Winery, Cristom Vineyards, Dancin Vineyards, Del Rio Vineyard Estate, Domaine Serene, Drouhin Oregon Roserock, Dukes Family Vineyards, Elk Cove Vineyards, Evesham Wood, Foris Vineyards, Goodfellow Family Cellars, Grochau Cellars, Harper-Voit, Johan Vineyards, King Estate, La Crema Oregon, Lange Estate Winery & Vineyards, Le Cadeau Vineyard, Longplay Wine, Love & Squalor, Luminous Hills, LUMOS Wine Co, Nicholas-Jay, Owen Roe Winery, R. Stuart & Co Winery, Resonance, Rex Hill, Sokol Blosser, St. Innocent, Tendril Wine Cellars, Tyee Wine Cellars and Winderlea Vineyard & Winery. Featured California wineries: Alma Rosa Winery, Bouchaine Vineyards, Calera Wine Co, Cartograph, Cobb Wines, Enroute, Gainey Vineyard, J Vineyards & Winery, Kosta Browne Winery, Laetitia Vineyard & Winery, Masut, Mindego Ridge Vineyard, Moshin Vineyards, Paul Hobbs Winery, Perception, Sanford Winery, Siduri Wines, Ten Acre Winery and Thomas Fogarty Winery. The full weekend experience is $1295. A la carte tickets to Passport to Pinot ($150) and the Salmon Bake ($225) are also available. Visit www.ipnc.org for a description of the event. Look me up if you attend. I wouldn’t think of missing this ultimate celebration of Pinot Noir! Pour Oregon The kickoff event for Oregon Wine month, this wine festival will be held Sunday, April 28 at the World Trade Center Portland featuring 55 small wineries from 19 Oregon wine regions. The event benefits the Make-A-Wish Foundation of Oregon. All tickets include entrance to the event, a souvenir glass and free tastings. Buy tickets at www.pouroregon.com. 2019 Pinot Paddle Oregon by Willamette Riverkeeper Imagine paddling down the Willamette River for five days. Pause at a quite back channel, set up camp, then join new friends for an evening of wine tasting featuring four local wineries (Cramoisi Vineyard, Goodfellow Family Cellars, Arcane Cellars and Winderlea) alongside a catered dinner with live music and talks. Wake up to a great breakfast, then paddle your way to lunch. June 15-16, 2019. Details at www.willametteriverkeeper.org. More Upcoming Wine Events for Pinotphiles The 37th Annual Santa Barbara Vintners Festival will be held May 4. Visit www.sbvintnersweekend.com for details. The Silicon Valley Wine Auction in Saratoga will be held May 18-19. Visit www.siliconvalleywineauction.org. The West of West Wine Festival will be held at City Winery in New York City on May 8. Visit www.westsonomacoast.com. New Book: Intertwined - A Pinot Noir Parable: Grief, Gratitude and Growing a Business A self-published book by Kerry McDaniel Boenisch who grew up in McMinnville on one of the first commercial vineyards in the Pacific Northwest at the time of the emerging wine industry in the Willamette Valley, tells a story about her entrepreneurial journey through the professional world of grape growing, writing and speaking with a few near-death experiences thrown in for good measure. Available in paperback from Amazon, $19.95. 38th Annual Wine & Spirits Restaurant Poll 225 restaurateurs completed this poll. Average price by variety: $98.70 for Cabernet Sauvignon, $93.00 For Chardonnay, $80 for Pinot Noir and $64.50 for Sauvignon Blanc. Among wines most often offered in restaurants by the glass, #5 Willamette Valley Vineyards Willamette Valley Pinot Noir ($13), #6 Rodney Strong Vineyards Russian River Valley Pinot Noir ($13), #21 Anthill Farms Anderson Valley Pinot Noir ($18) and #22 Angeline California Pinot Noir ($10). The 50 most popular wines in America’s top restaurants included the following Pinot Noir producers: #5 Kistler Vineyards ($150), #13 Frank Family Vineyards ($99), #15 Failla ($84), #16 Hirsch Vineyards ($125), #20 Decoy ($83), #25 Cristom Vineyards ($73), #26 Flowers Vineyards & Winery ($103), #35 J. Lohr ($44), #38 Bow & Arrow ($58), #41 Littorai ($121), #46 Patricia Green Cellars ($76) and #47 Merry Edwards Winery ($117). Among wine varieties as a % of top-selling wines, Cabernet Sauvignon is #1, Pinot Noir #2 and Chardonnay #3. 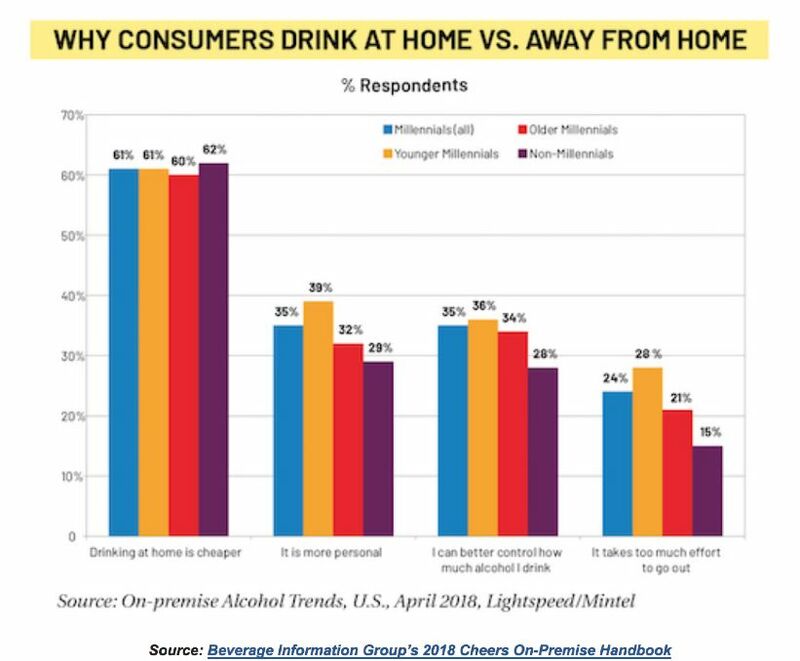 Pinot Noir has 13.8 percent of respondent’s top-selling wines, just 1.5 percent less than Cabernet Sauvignon, and 5% higher than Chardonnay. The ten most popular Pinot Noirs: Failla, Hirsch Vineyards, Cristom, Patricia Green Cellars, Flowers, Merry Edwards, Adelsheim Vineyard, Bethel Heights Vineyard, Sea Smoke, and Littorai. Uncork For Hope FoundationAn event to support helping at-risk children. An opportunity to learn and support while enjoying live entertainment, fine food and wine. The event will be held May 5, 2019, 2-6 pm, at the Center Club Orange County in Costa Mesa. Tiered ticket pricing increases as each amount are sold ($150 and $200 tickets sold out). Currently $250.00. Wineries pouring include Argot, Bevan, Herman Story, Lando, Lombardii Wines, Three Sticks and Trichero. For tickets and information, visit www.uncorkforhope.org.